We had a cracking team of marketing volunteers at this year's festival who had the opportunity to help with promoting the festival during the course of the six days. They even had their own Instagram page to document the festival from their own perspective. Giving them a platform once more, we asked a few of them to write about their varied and fruitful experiences. In their own words, below we hear from Esther Draycott, Olivia Woodhouse and Emma Cheung. 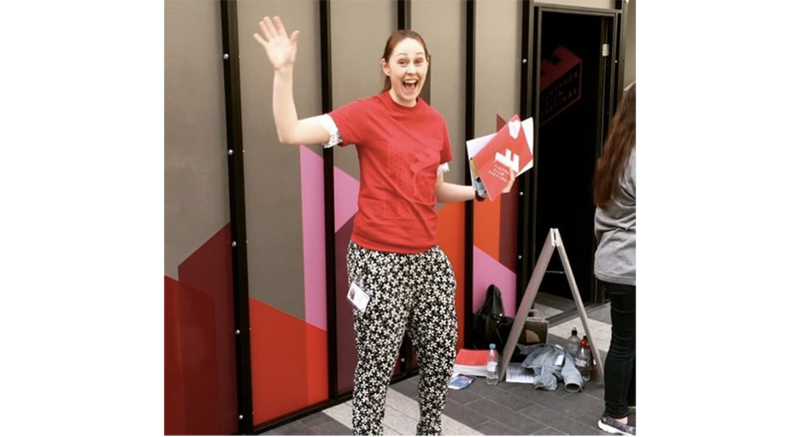 Esther Draycott I decided to volunteer for the Marketing team at Flatpack festival to bolster my CV as a recent graduate looking for a career in the arts. Having since got a job I can certainly say to anyone else in my former situation (and I think there might be quite a few) that not only does it help on paper but will provide you with experience, contacts and inspiration far beyond what you might be able to write on a future cover letter. 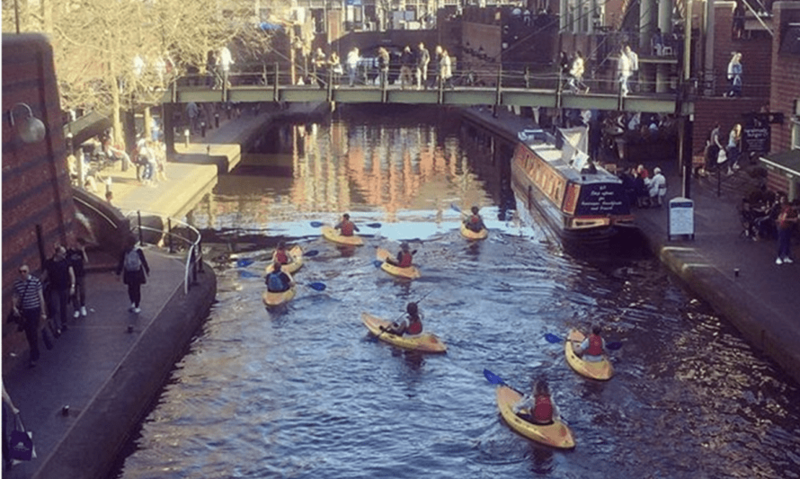 My weekend was spent exploring Birmingham’s canal network and Chinatown encouraging passersby to take a programme and providing posters and A-boards to venues that needed them. It was great to see the inner workings of such a huge festival, and the team that were in charge of us as volunteers could not have been kinder or more informative. We were encouraged to drop in to see as much as we could while distributing marketing material on top of endless reminders to add ourselves to guest lists of events we particularly wanted to see. The result was yet more films, exhibitions and music and yet more to talk excitedly about to members of the public. One of the best and worst things about volunteering for this festival was having so much I wanted to see myself. I couldn’t get to it all but my first highlight was Homelands - a documentary following four musicians to where their parents were born and much of their family remained. It looked at the ways someone’s cultural heritage can find its way into their identity, in this case their music, in unexpected ways. Another was a series of shorts based on found and reworked material entitled The Festival of (In)appropriation, with highlights including a frantic stop animation of female nudes and a medley of YouTube reactions to the new Star Wars trailer. My favourite of all was another set of shorts at the Victoria, this time by an animation collective named Late Night Work Club. All of the present members showed a couple of their own films and well as some videos that had inspired them, from Vic and Bob sketches to an animation about the Syrian refugee crisis. It represented the best, I thought, of what Flatpack had to offer as a festival - showing brilliant filmmaking in a relaxed setting where not only could you think and talk a bit more about what made these films were so good, but how and why they were made in the first place. 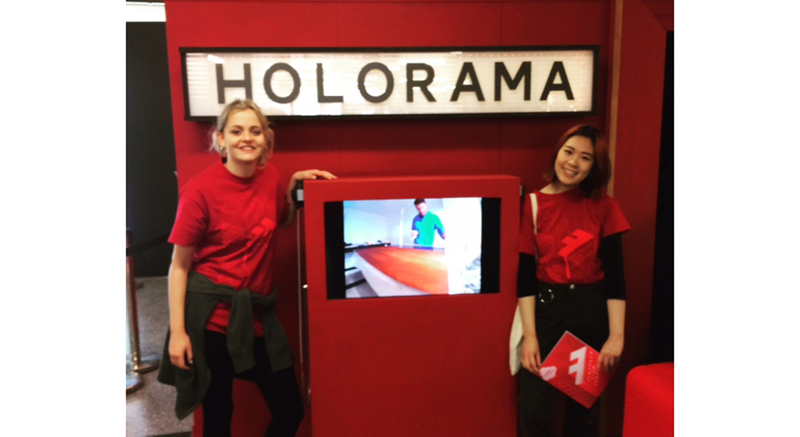 Olivia Woodhouse My experience as a Flatpack marketing volunteer was varied and enriching! Having not done any work of this type before I wasn't sure what to expect but I was supported by the staff each shift I worked and was made to feel very comfortable as part of the team. My jobs went from distributing promotional material around Birmingham city centre to handing out temporary tattoos and everything in between. Myself and one other volunteer promoted Holorama on the first day as well as flyering for the canal based events day. The next two days we were distributing brochures and flyers to the Kino Train pop up cinema in New Street station, approaching cafes and restaurants to talk to them about the festival and (hopefully) leave some flyers with them. And lastly we gave flyers to the general public. There were lots of opportunities to drop in on showings during shifts and around our volunteering hours allowing us access to material we may have never got to see. Emma Cheung Flatpack Festival 11 was as exciting as ever! Providing a hectic, effervescent, mesmerising amalgamation of sensory, televisual fun, Flatpack returned this springtime with a vengeance. The programme overflowed with weirdness and beauty, drawing in modern-day Lynchians, animation enthusiasts and those wildly ubiquitous gongoozlers that one can’t walk 5 metres without colliding into. My time as a marketing volunteer was incredibly enjoyable. Travelling back and forth from each venue and catching glimpses of experimental treasures and cinematic pieces brought welcome entertainment and gave an overarching vision of the wide range of events. 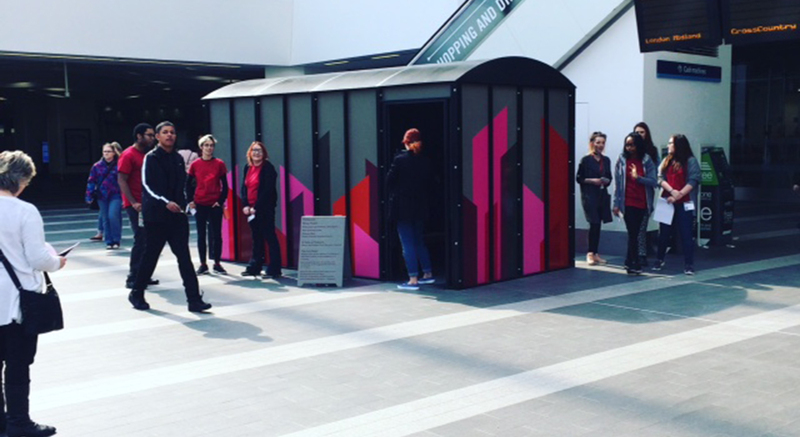 Promotion of the festival through flyering and social media helped create a buzz around the event, generating a bit of a cultural conversation and hopefully introducing some unwitting followers to the world of Flatpack. Being part of the team allowed insight into the frantic work and passion that goes into events such as this – a truly inspiring thing to be a part of!